Clients referred by Divorce Angels will receive a preferential rate equal to 10% off the quoted hourly rate or flat fee for services. 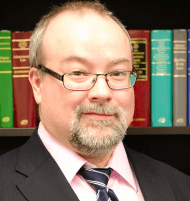 Patrick J. Aulis is the principle lawyer at Aulis Law Firm PC and the North York Mediation. Patrick has been practicing law since 2004 with a substantial emphasis on family law, residential real estate and estate planning / probate matters. 7. Mediation, arbitration or hybrid mediation arbitration (med-arb) in family disputes related to parenting issues, support, property issues etc. 8. Real Estate deals whether purchase, sales, refinances etc. Since 2017 Patrick has been shifting his family practice from the traditional adversarial approach towards a collaborative model. In the collaborative model a lawyer represents their client to negotiate with the other party (and their lawyer) in an attempt to resolve the case without the need to go to court. Patrick also offers his services as a mediator and/or arbitrator to family disputes for represented or unrepresented parties. Patrick believes that parties who can find the means to cooperate with each other on their shared interest (such as their children) can find effective means to solve their own problems that are uniquely suited to their needs and values without needing a judge to decide for them following a difficult public court fight. Patrick is also well set up to assist parties with their real estate deals. Client’s deals directly with Patrick for all legal questions and to finalize their deals while Alyssa (Patrick’s clerk) assists in putting the deals together to make sure all the pieces come together in time for closing. Patrick prides himself on being an effective listener who is able to really understanding his client’s perspectives so that he can communicate his thoughts back to them in a plain spoken manner that makes sense.